Let’s be realistic. Your website exists to serve one purpose and one purpose only: making you money. For that to happen you have to get the people who land on your site to make a purchase. Every time you accomplish this, it’s called a conversion. Making sure your website is getting as many conversions as possible is referred to as conversion optimization. Conversion optimization is something that’s definitely worth investing your time and money. 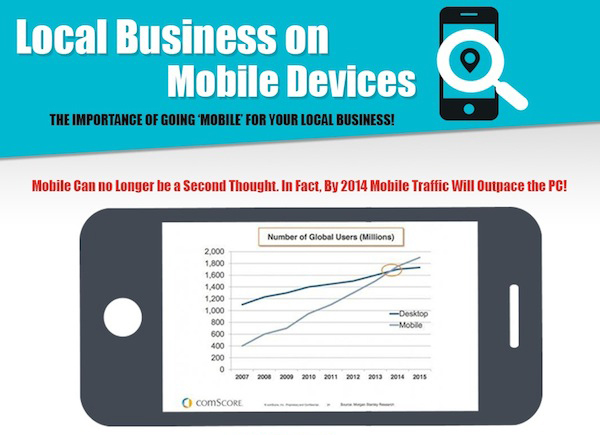 It can help you reach more people and increase your bottom line. Of course, that’s assuming you’re doing it right. It can be equally harmful if you go about it the wrong way. A site that focuses on conversion optimization, while using the wrong tactics, can easily put readers off and send them to a competitor. You want to land the sale, but you have to be smart about it. Here are some tips to make sure your conversion optimization efforts are working. If you’re not A/B testing, you’re way behind the curve – and you need to start immediately. If you’re not familiar with the term, A/B testing is when you create two different versions of something and see how their performances compare. 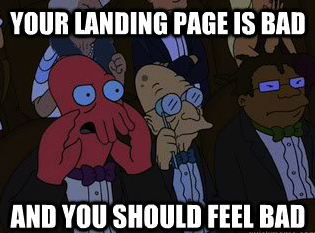 For instance, you may make two landing pages. Half of your traffic will be directed to one and half will be directed to the other. You’ll get a clear answer as to which one lands you more sales. The problem a lot of people run into with A/B testing is that they only change one thing. Many people believe you should make small changes, maybe just the headline or the color of your “click here” button. The truth is, however, large changes can work just as well. You may not know exactly what made one page work better than the other, but does it really matter? The point is that you know which one works. Check out the results of extensive A/B testing conducted by 37signals. This one is hard one for many people to wrap their head around. While converting the sale is the ultimate goal, it shouldn’t be your only focus. Remember, making a purchase is the final step your prospects take on your website. They have to go through a major decision-making process before that will ever happen. Focus on making your Web site informative, clear and enjoyable. You want your prospects to enjoy spending time on your site. You also want them to be able to easily answer any questions they may have about your product. As people spend more time on your site and learn more about what you have to offer, they’ll be more inclined to make a purchase. That’s why your main focus should be on the user experience. If it’s easy to buy your product, but your site is so ugly people immediately turn away, it’s not doing you any good. Another major issue people have with conversion optimization is that they fail to keep the target market in mind. All too often, people try to design websites that they would want to visit themselves and then add copy touting the benefits that matter to them. That’s backwards. In all honesty, it really doesn’t matter if you like your site or not. If you think the colors are all wrong and the copy is cheesy, but it lands sales, then you’ve got a good site. Keep in mind, the site isn’t there to convince you to buy the product. It’s simply there to help you sell it. Find out what your target market does in their free time. Research what sites they visit, what they read, what they watch, what they listen to and how they choose to have fun. When you learn enough about them, you’ll be able to provide them with an experience they find fulfilling. Since your website exists to help you sell your product, it only makes sense that you should focus your efforts on conversion optimization. When you do it right, you’ll make yourself a lot more money. It’s important that you focus on the experience of the user. This includes everything before they make the purchase. You should also test different ideas so you can see what works. Finally, make sure your designing the site to work for the target market, rather than to appeal to your sense of style. If you do these things, your sales will almost certainly increase. Lindsey Dahlberg works for a local marketing firm. She is in the midst of a massive conversion optimization project. Lindsey has helped Trim Nutrition with A/B testing for their weight loss injections. Among other things, Lindsey has learned shoppers respond better to the phrase “vitamin injections” rather than “weight loss injections” – even though they are the same thing! Lindsey is eager to share little tips like this with other online marketers who are invested in improving their conversion rate. This article makes some very valuable points, but it fails to address one key obstacle: the fact that the majority of small businesses (and especially new website projects) don’t do A/B testing because they don’t have enough traffic. It typically takes at least 1000 unique visitors to achieve confidence in an A/B test (known as statistical significance) which sometimes represents weeks or even months of traffic. If you stop an A/B test before it reaches this confident state, its results are meaningless – you may as well have used guesswork to improve your site. Perhaps it would have been helpful to point out that there is an alternative approach (known as heuristic optimization) that better suits low-traffic websites. Whilst the gains from this method are not as spectacular as those from test-based optimization, it can still be a very effective starting point for pre-traffic and low-traffic sites.